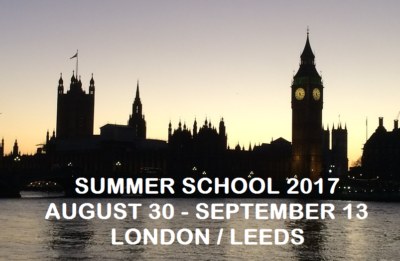 5th Summer School on Comparative Urban Studies, was held in London and Leeds (UK) from 30 August to 10 September 2017! The Research Committee 21 (RC21) of the International Sociology Association, the International Journal of Urban and Regional Research (IJURR), the Foundation for Urban and Regional Studies (FURS) in collaboration with scholars from University College London (UCL) and Leeds University invited applications for 25 places on our 5th Summer School, which was held in conjunction with the RC21 Conference (11-13 September) on the theme of “Rethinking Urban Global Justice” to be held in Leeds. See this page for full details about the summer school.